If you have a smaller home, you may think you are bound to only using white and beige shades in order to not make it appear larger. However, there are multiple different colors you can incorporate into your home that will give you the appearance of a larger residence. Here are a few options of different colors you can use in a small home. Taupe can be used in more than just one way. Paint your walls with this shade and include it in the decor you currently have. Pair this beautiful hue with a bold shade or two to truly bring the entire decor together. There is no better way to do this than to use a bold hue such as yellow, orange, or blue. Taupe is an excellent overall color for any size home. 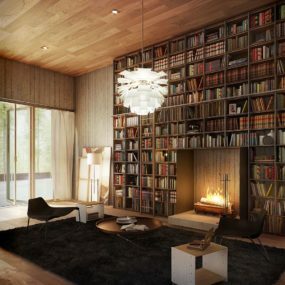 It is chic, trendy and adds a dimensional feature to the living space. This color works best in the kitchen, home office, or even in the living room. The key is to pair it with other light hues and to allow the room to have lots of natural light. 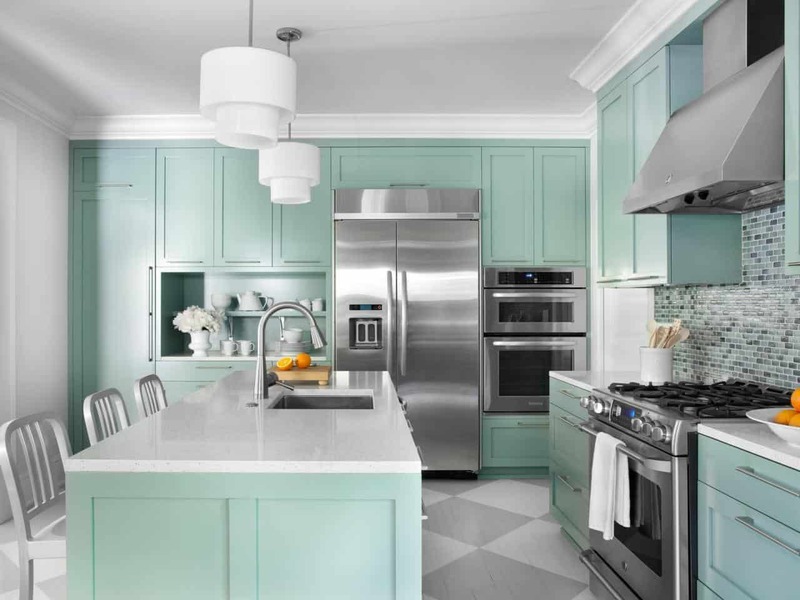 The kitchen may seem like it is the last place you may want to use such a bold shade in. 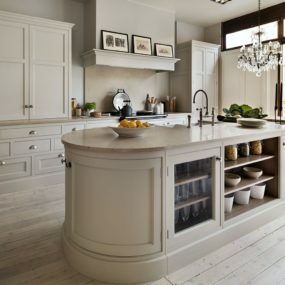 However, it will have a charming effect in the kitchen space, especially when it is used on counters and/or the kitchen island. Pair it with light hues or metallics for the best outcome. This greenish-blue color is not only beachy but its classic as well. The color plays well with multiple different hues which is always a plus. Pair it with bold, richer shades for a contrast that is hard to miss. This shade works well in the foyer, kitchen, or guest bedroom. Griffin is such a unique shade that it will mesmorize you all at the same time. The richness of the color works well in the bedroom because it is relaxing and calming all at the same time. Pair the shade with metallics to bring out different hues throughout the color. Griffin is best described as a dark chocolate shade with hints of gray and taupe. The color is a commanding hue that adds richness and dimension. The key to working with this color is pairing it with creamy softer shades. Additionally, you want to only use this color on an accent wall for the best outcome. This color is perfect for the library space or even the living room. 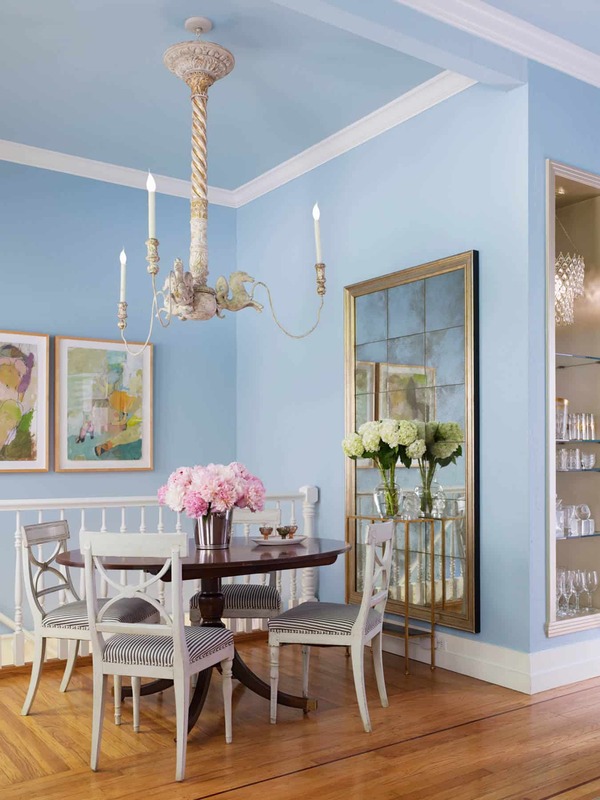 Take it a step further and use this color in your dining room space for a feminine charm that flows throughout. The idea is to have the color become the center of the decor. Emphasis the color by adding soft hues that standout on their very own without disrupting the decor you have. 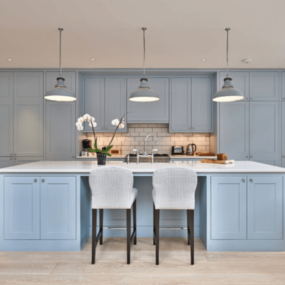 There is nothing quite like adding shades of pastel blue to a home. The notoriously beautiful color works well in any space it is placed in, not only that but the color is extremely pliable. Choose a lighter shade of pastel blue for a softer take or a darker version of this shade for a richer, bolder feel. This hue works well in a bedroom or even in the bathroom. Gray works well in any room because of how broad the color is. 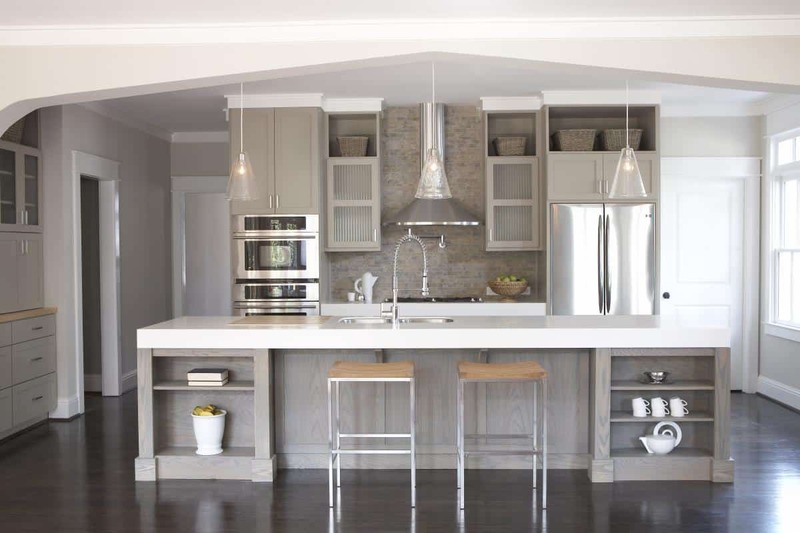 The color works exceptionally well in the kitchen area as it will give the space a chic appearance. 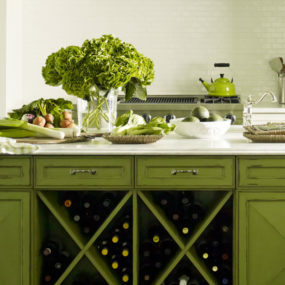 It is also a great way to brighten up an all-white kitchen with just the right amount of color. 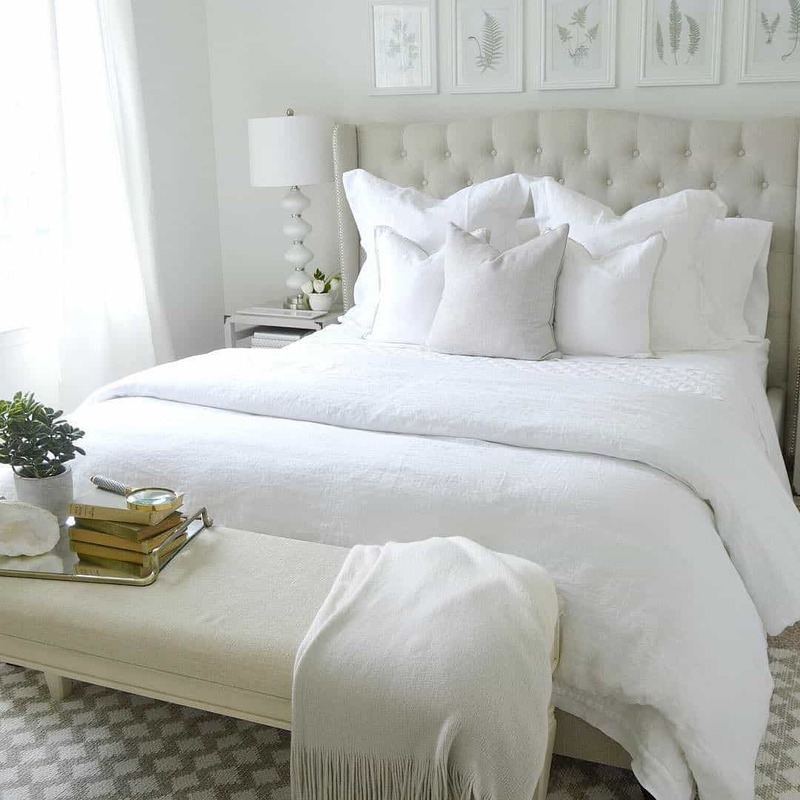 The key to working with gray hues is having bright, crisp white all around the space. The crisp white shades instantly lighten this hue and give it a charming effect. You want the gray to feel soft and charming not stuffy and cold. 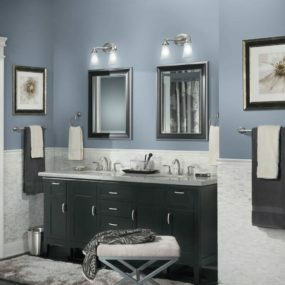 Choose a gray hue with a purple or blue undertone. This is an excellent overall color which means it will work well in any room in the residence. Red may seem like a difficult hue to work with but it is quite the contrary. The bold hue works great in any space it is paired in, especially in a neutral room. The key is using it in small doses, having an accent wall and decorating around it works best. 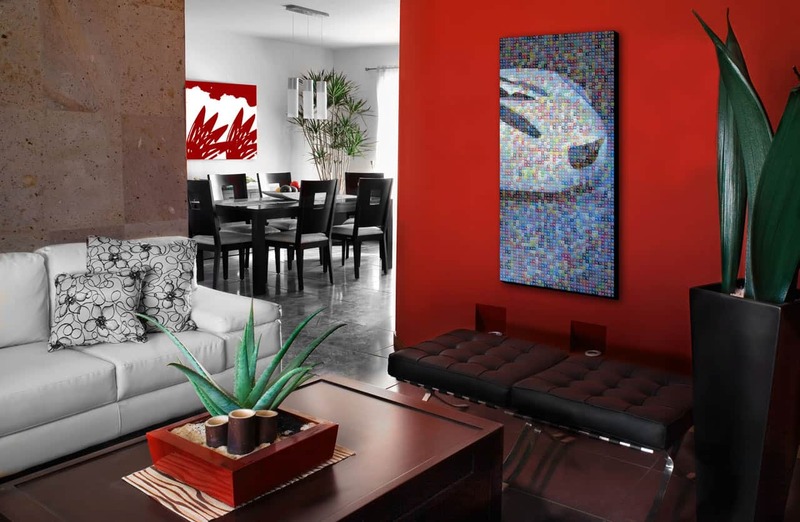 Yes, you read that correctly red hues work well in any space of a home. The reason being they are rich and fun with a twist of modern. The key to working with red hues is knowing which shades work best and where. You want to use hues that are less bold and have richer undertones. Doing so will bring life to the space while still being multi-dimensional. Pair this shade in all rooms with great lighting. The deep purple hue works extremely well in an entryway because of how much texture and drama it adds. The idea is to make the space appear more put together without making it look smaller. The added drama will get the job done. Pair this hue with crisp white hues for the best outcome. This regal shade is everything you have dreamed of and more. The hue is not for the faints of hearts or for the homeowner who wants to have a simple space. This color commands your attention as soon as you enter. 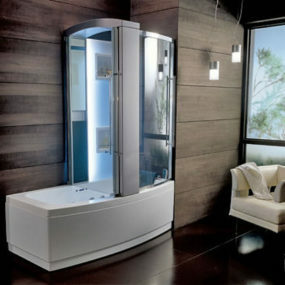 It also shifts colors depending on the lighting you use. The brighter the lights the darker the color will appear. However, if you use bright lights the hue will significantly lighten up. Pattern is one of those decorative features many people don’t know how work with. However, when used properly patterned pieces will make the space it is placed in appear larger. The key is working with similar patterns in similar hues. 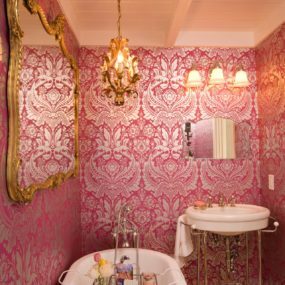 When it comes to using patterns in a small room the key is adding them one bit at a time. You never want to use too many patterns in one room. Keep it simple, keep it chic and the outcome will be beautiful. Consider using patterns that have similar hues to the colors you are already using in the space. 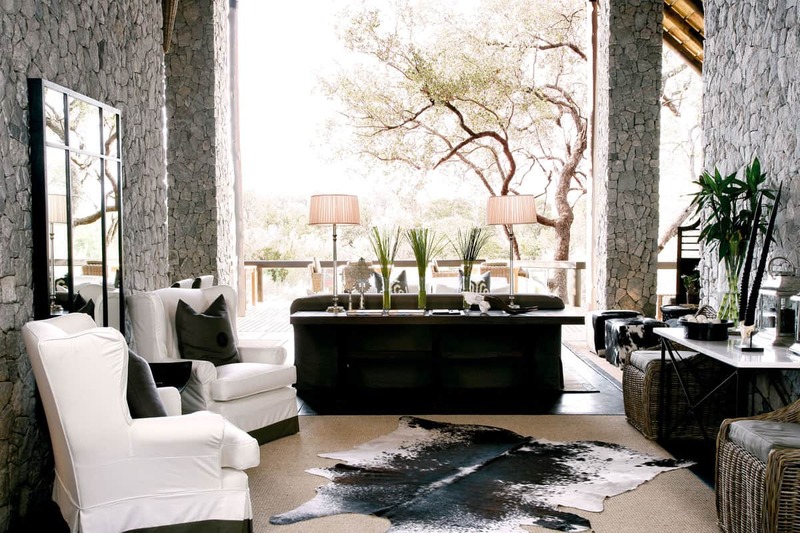 Place patterns everywhere in the home for the perfect contrast. Bring on the cheery hue! Yellow will make a huge difference in any room. 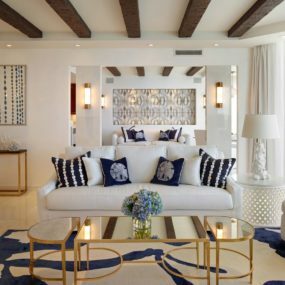 The idea is to add a hint of bold in the space to add texture and drama to any room regardless of the color scheme you may have going on. Yes, you read that correctly the color yellow when done the right way will make the room appear larger. 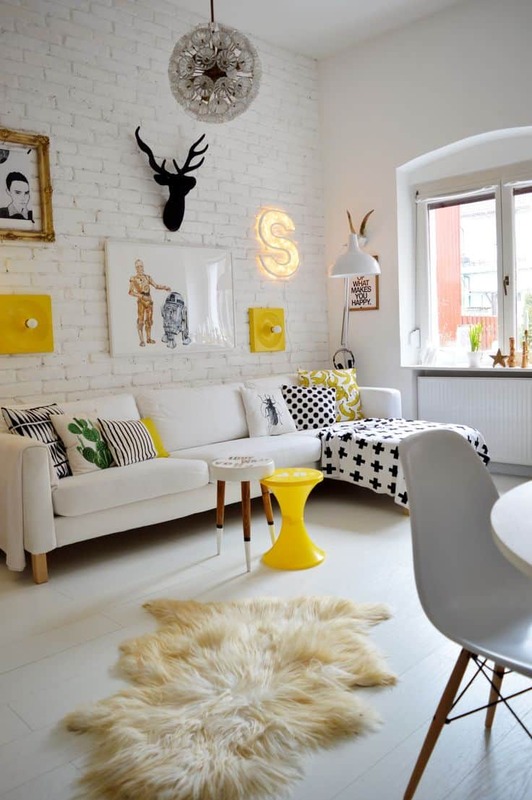 You want to use soft shades of yellow on the wall and on furniture pieces. This will bring a bright touch to the room. Use this hue in the living room or dining table for a fresh touch of brightness. Alabaster is simple. It is a neutral hue with an undeniable charm. The color works well with other neutrals as well as bold hues. This color is perfect when you want to have a white palette with a hint of something special. Grays, beige and even lavender will add a touch of color in small doses. Alabaster is crisp, a white hue with a twist of charm. This color is the perfect combination between white and beige. The color will pair well with all shades which is great because you can work around that and add patterns to the room that will make the space appear larger in size. Which of these hues will you be using to make your home appear larger? Please share with us your thoughts in the comments below.